Ashitaba plants are a type of superfood that are incredibly healthy. Well, technically, all leafy vegetables are healthy. There are the likes of spinach, kale, collard greens, lettuce, escarole and Swiss chard. But for now, let’s focus on ashitaba here as a super food. Ashitaba leaves are chock-full of fiber, vitamins, minerals and phytochemicals. They are linked to lower risk of certain cancers and high cholesterol leading to heart disease. A good recommendation is for you to eat (or drink) an equivalent amount of two cups of ashitaba leaves in a week. You can have it every day in each meal three days in a week. If you’re wondering how to actually meet that, this post is for you. In this article, we will tackle some tips on how to prepare and serve ashitaba for breakfast, lunch and dinner. Does your hectic schedule leave you feeling that take-out is your only option? Using a few choice convenience items, such as canned vegetables and fresh ingredients from the nearest local market, you can prepare meals with ashitaba in no time. Get started with these ultra-quick sample ashitaba recipes and tips that your whole family can enjoy. A good way to start your day right is to have a cup of ashitaba tea. If you are not into teas, then make yourself an ashitaba smoothie from ashitaba powder. This trendy breakfast drink can fill you with a smug sense of health. Just add a couple handfuls of ashitaba (or about 10 leaves) to your smoothie and it’s good to go! As an easy choice, salads can be bumped up with raw ashitaba leaves, cooked kale and spinach for nutrition. As naturally sweet fruits, slices of apples can also be added to help to curb your cravings for sweets in a natural way. They have fiber and vitamin C.
You can also opt for a sandwich and instead of lettuce, sneak ashitaba in with scrambled egg or omelet. Eggs have riboflavin, vitamin B12, and phosphorus. They complement the benefits of ashitaba, as this dairy product is a very good source of protein and selenium. For the soup, you can heat up a canned soup and dose it with ashitaba, escarole and some beans from last night’s dinner. For snacks, ashitaba chips may do. But how to do it? Wash the ashitaba leaves and dry them, toss a bit of olive oil and brush the oil onto the dried leaves, sprinkle some salt and roast in a hot oven until crispy. If you want the tastier kind, plain, low-fat yogurt with ashitaba leaves mixed in sounds great. Using plain yogurt, you can control how much sweetener you add. Also try adding a dash of vanilla or some cinnamon for different flavors. Add a handful of cereal or granola for a heartier snack. One of the easiest ways to join ashitaba into your dinner is to saute the leaves as a side dish for whatever else you’re having. To make it more palatable, you need to add a bit of garlic, olive oil and a pinch of red pepper flakes. Set that aside and cook pasta as the main entree. Any type of pasta will do. Top your pasta later with the sauteed ashitaba and spinach sauce for a healthy and sumptuous dinner on the table! As our lives are getting busier with tons of activities throughout the day, preparing for even the simplest meal like breakfast and snacks can feel quite overwhelming. Thankfully, we have accessibility to these simple recipes and a lot more online that can make us cut out junk food for a healthier diet for our self and our family. It tastes bitter. 🙂 But you can add other spices and ingredients to lessen its bitterness. I used to sell the ashitaba plant but got out of stock. Now I sell the ashitaba capsules in bottles. You can click the below link to find out more. By the way, what is the tagalog name of ashitaba? Where can I buy that product? I am amazed how there are a lot of varieties you can use Ashintaba for. Great post! Okay after reading about Ashitaba, can you please tell us where we can buy Ashitaba? I was told that it is hard to grow it here in the Philippines and is abundant in Japan. I have gynura precumbenis though, which I thought was ashitaba but not, does it give the same health value as the ashitaba? They have similar health values as I know. I also have a blog post enumerating their differences. Ashitaba plant is hard to find here. We only have one plant at home for personal use though I sell ashitaba capsules in bottles. If interested, kindly click the link below (notification bar). Thanks. I think ashitaba would be great in Monggo Guisado and pinakbet! I'd be curious how that would taste like. 😀 But ok lah, seems possibly edible! Wow, this really got me curious about Ashitaba. It would be great mixed in my favorite dishes. Hehe ashitaba is a super food that would pique your interest and curiosity. Since it's not abundant yet in the Philippines, you might want to check out its "cousin," the gynura procumbens instead. Sis, I guess I need to buy this ASHITABA now! I'm checking for the ASHITABA CAPSULES written below here in your post. Wow, variety tips on how to prepare ashitaba leaves, and it is my first time to heard of it. 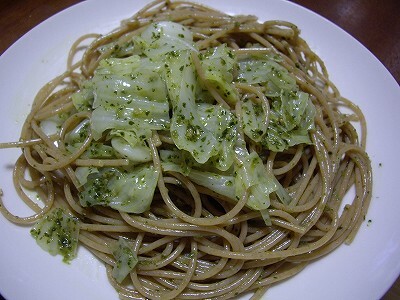 The pasta out there looks like pesto! Ashitaba, hmmm I have to try that out. Sounds and looks healthfully promising. There's a lot that ashitaba can promise in terms of bringing and promoting good health to your system. You're free to explore the rest of my blog posts. 😀 Thanks for visiting, Ron! I am new to ashitaba and i don't know if i already encounter it or not. It looks promising and healthy. Spirulina is good for the skin, too. It improves age spots, eczema, acne and rashes. Maybe that's why you look so young pa rin. 🙂 It's good for the eyes as well, helping with glaucoma. Glad to hear that. 🙂 It seems that many people now are more aware of the ashitaba plant. There is no link to click at the end of this post, just want to let you know. It still works. I tried both web and mobile browsers. I think you had the wrong link (missing some words). 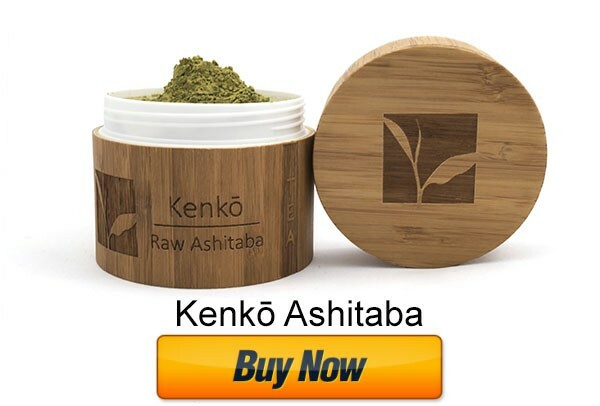 Here's the correct one: http://www.ashitabaplant.com/2013/04/ashitaba-capsules-get-maximum-nutrition-from-japanese-power-plant.html Try again. Thanks. Hi Ariston, please drop me your email address. Thanks!